For all our products we prepared some brochures, which you can see on this site. For any additional questions, please, contact us. REM living containers solve spatial constraints quickly and efficiently. They are available as either office or sanitary containers or as a combination of both. 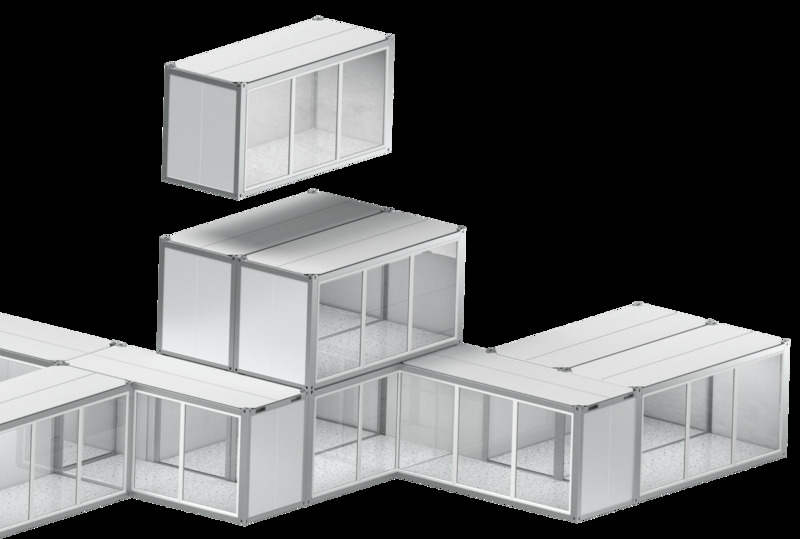 Our living containers meet high technical standards and are distinguished by top quality and sophisticated design. We have created several design-types that can be adapted to the wishes and needs of our customers. Office containers offer a comfortable living environment, since only natural and environmentally friendly materials, which can be recycled at the end of their service life, are used for construction. If requested, we can provide our customers with additional equipment and furniture, and the containers can be equipped with partitions. Once the container is installed on a suitably stabilized surface and connected to mains power, it can be used instantly without any additional work. Our sanitary containers are equipped with all the necessary plumbing installations, and therefore allow easy connection to the water supply and sewage system. The built-in equipment can be customized according to our customers’ requirements. In order to offer a modern and natural appearance for living containers, we have designed different types of wood cladding that allow our modular units to blend in with the surroundings. In addition to optional equipment, we can also change the colour and size in type-designs of office and sanitary containers, as well as interior and exterior linings, windows and doors, sanitary equipment and installations, and we can add heating, air-conditioning and ventilation systems. More about cookies and privacy politics.